Rob Zombie calls the new White Zombie four-disc/one-DVD box set Let Sleeping Corpses Lie, and that's just what he's doing with the band, which many fans hoped would reunite. Explaining that he was "closing the book" on the group that made him famous, Zombie says that the process of putting together the new compilation was like writing an epilogue. "I felt the band had two major shifts that were important," he says. 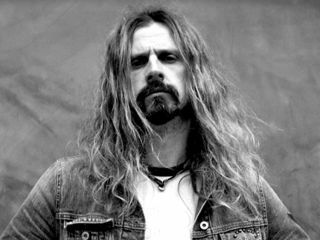 "The band really had two different lives; Soul Crusher was as far as we could take our New York underground art-damaged insanity, and Sexorcisto was sort of the beginning of taking White Zombie out to the world phase.."
While going through tracks, Zombie was surprised at some of the gems he uncovered. "I found some early demo stuff that isn't on the box set that kind of stood out to me in how weird it sounded," he says. "It sounded like when you listen to old '60s compilations of garage bands. And at the time I hated it, but now I was kind of enjoying it because it was so ridiculously raw." Still, Zombie opted not to include the material in the package. "It was probably just fun for me; I don't think anyone else would enjoy it." "For me, Educated Horses is a great record, but it was definitely a transitional record. I was sort of coming out of that other phase and [there were] new guys in the band. But now the band has been locked in tight for a couple of years - we've solidified - and it's the next real legitimate strong phase of what we're doing." Sounds like a plan. Meanwhile, let's take a look back at White Zombie and their first hit, Thunder Kiss '65.